A model and the former girlfriend of Suicide Squad star Scott Eastwood has become one of the latest fatalities involving defective airbags. Those airbags have resulted in the largest recall in U.S. automotive history, with around 8.5 million vehicles and 12.2 airbag inflators involved in the action. At this time, auto manufacturer Honda has confirmed 11 deaths and more than 100 injuries as a result of these defective airbag inflators. One of those deaths involved Jewel Brangman, a gymnastics coach and model who was killed after rear-ending a van as she was driving from San Diego to Los Angeles. The impact of the accident, which was described by Scott Eastwood as a “fender bender,” resulted in the deployment of the airbag in Brangman’s vehicle. The airbag, manufactured by Takata Corp. of Japan, exploded, causing metal shrapnel to shoot out and penetrate Brangman’s body. While Eastwood opened up in a recent interview with GQ Australia about the tragic loss of a former love, he did not identify Brangman by name in the article. However, photos indicated he had a former relationship with Brangman, leading to the assumption by many that this was the loss he was referring to. Brangman’s death occurred on September 7, 2014, as she was driving a rental car between the two California cities. In the lawsuit, Alexander Brangman also alleges the explosive nature of the airbag deployment cut his daughter’s neck. That injury led to a traumatic brain injury that ultimately took the 26-year-old’s life. Brangman described the incident as “horrific” to San Diego’s ABC-10 and said it changed his life. Sadly, Brangman is not the only casualty that has resulted from this auto airbag defect. The airbag manufacturer Takada is responsible for placing their airbags into vehicles from 14 different auto manufacturers. At this time, 10 of the 11 deaths that have been reported have occurred in Honda vehicles. 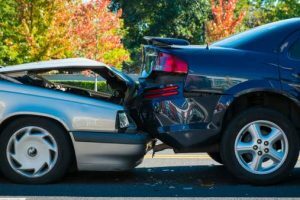 However, with other makes of cars currently containing the airbags, only time will tell if the incidents continue to be related primarily to Hondas or branch out to other manufacturers like Toyota, Mitsubishi, and Volkswagen. The airbags in question contain ammonium nitrate, a chemical that is used to inflate the airbags quickly upon impact. However, this substance can also be vulnerable to moisture, which can lead to premature incineration and even explosion. If the device explodes, it can send pieces of metal flying into the occupants of the vehicle. In April 2013, Takata announced a recall of the airbag inflators. However, that initial recall only included six makes of vehicles. Since that time, the recall has been expanded to nearly two dozen makers and more than 34 million vehicles in the U.S. alone. Worldwide, the number of vehicles affected by this recall could reach more than 40 million. While the recall of the inflator device has been issued, only about eight million of those vehicles have actually had the airbag inflator replaced. Some vehicle owners are now hearing it could be months before the repairs can be done, in light of the large number of vehicle owners that are already taking advantage of the ability to replace their airbag inflators at no cost to them. In the meantime, some of the vehicle owners who have been injured or lost loved ones as a result of this airbag defect are beginning to file lawsuits against the manufacturers of these vehicles, just like Brangman’s father. At the Ellis Injury Law firm, we work with clients every day who have been unnecessarily injured by vehicle defects like this one. If you would like to receive a free case evaluation and answers to all your legal questions, contact our product liability attorneys today at 310-641-3335.